I am in no wise the first or last word on the mind of God and scripture but I do accept that the Bible is TRUE from cover to cover and Christ was God on Earth and my Savior who died on the Cross for my sins. Where I might diverge from you is that I do not consider scriptures as telling all of the truth. There is much that can be "Fleshed Out" from other sources. The qualification here is that which adds to the puzzle of End Times study in no wise contradicts what scripture reveals. If there is any apparent contradiction 2 things must pass through our thoughts. 2.Throw it out or set it aside. The Pharisees had no trouble with thinking that they had a full and complete understanding of their scriptures as revealed to them, and they persecuted Christ and hung him on a cross. They were that sure that they were right. Christ came along and tossed a very big monkey wrench in their understanding. We are now at that point again! What will you do? WE are in the END DAYS and as Amos 3:7 clearly states that the Prophets must first speak. I attend church and study the Bible and pray daily (aren't I a good Christian?) and have seen no prophets there. Well I guess then the end days are not upon us...... OR...... the prophets have been and are here now! It just might be that our churches suffer from one or more of the problems ascribed to the end days churches listed in Revelation. NOOO, that can't be! Pharisee or Christ? Choose now. Will "Blueotter" Anderson has put together a monumental work. Study it. Do not let, for example, the Native Americans way of presenting an idea put you off. Their special gift is an understanding of the Earth and mans place in it and his relation to the Creator. What these Turtle Islanders have to say will be filtered through and originate from this relationship. It is different from yours and mine, that is all. 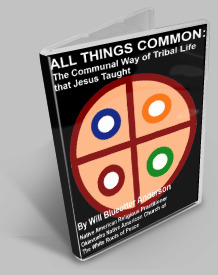 It is from the Turtle Islanders that the vast number of prophecies for America and you will be from. There are many others as well. Please do not take any of this lightly. Pray and read. 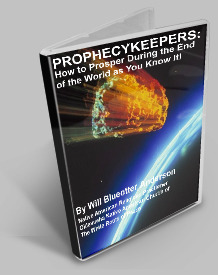 PROPHECYKEEPERS: How to Prosper During the End of the World as You Know It! FREE FIVE DAY LOAN from Amazon Kindle... 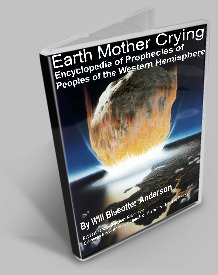 The Introduction to the Prophecy Keepers Native Wisdom and Preppers Library... and expert recommendations for the physical and spiritual preparations to make. ...How to KNOW what is coming and when, so you CAN be ready. WE LOULD LOVE TO MAKE THIS EBOOK AVAILABLE FREE, BUT TRANSATION OF THESE PROPHECIES INTO ORIENTAL LANGUAGES IS BADLY NEEDED. PLEASE THINK OF THIS AS A MISSIONARY LIFESAVING EFFORT! A $25.69 investment guarantees you lifetime access to this restricted survival library! 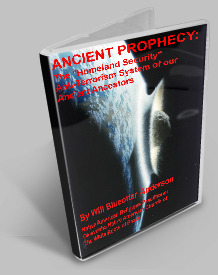 After your transaction, send us your Amazon purchasse confirmation and you will be provided the secret URL for the Prophecykeepers Native Wisdom and Preppers Library.